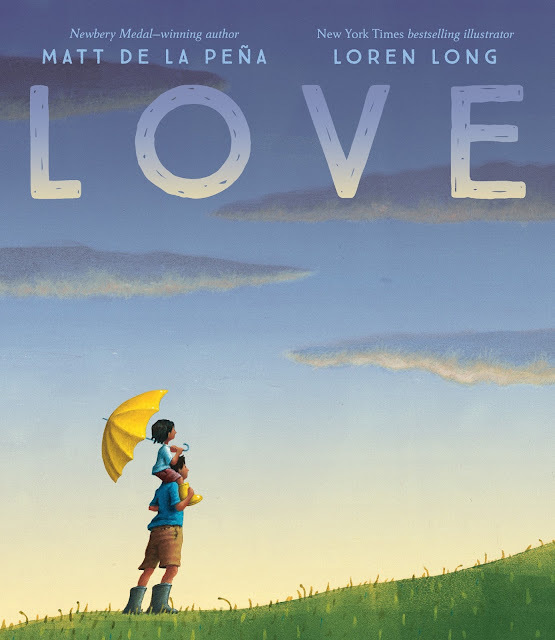 This is Love, the book by Matt de la Peña, illustrated by Loren Long, as reviewed by me. Of Love, Matt de la Peña says, "I wanted to write a book about love that I could read to my daughter, but, like everything I write, it morphed into something else. 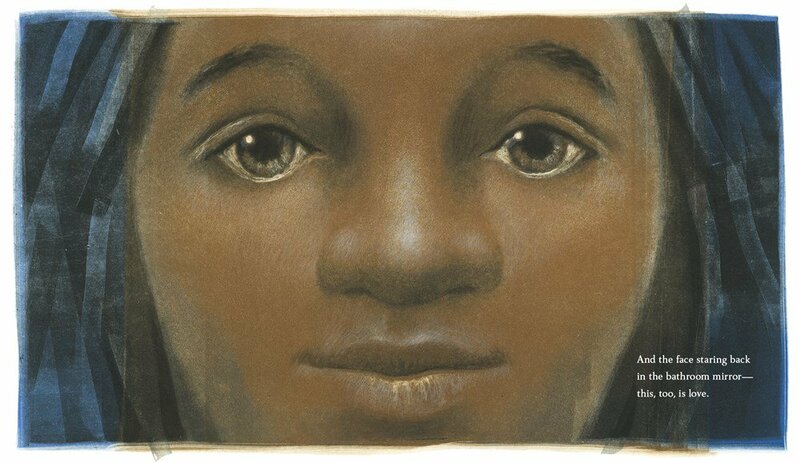 It really became a look at the evolution of love in a child's life. At birth, love is literally handed to them, but it gets more complicated as they grow up. There's pain. There are challenges. I had to acknowledge that." 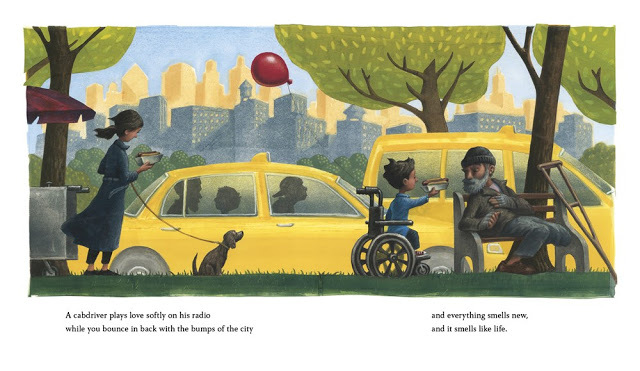 With this image and these words, de la Peña and Long capture that moment when children become conscious of the depth and everyday-ness that can be love as well as the love that is the sacrifice of being a parents and wanting to give your children the best life you can. 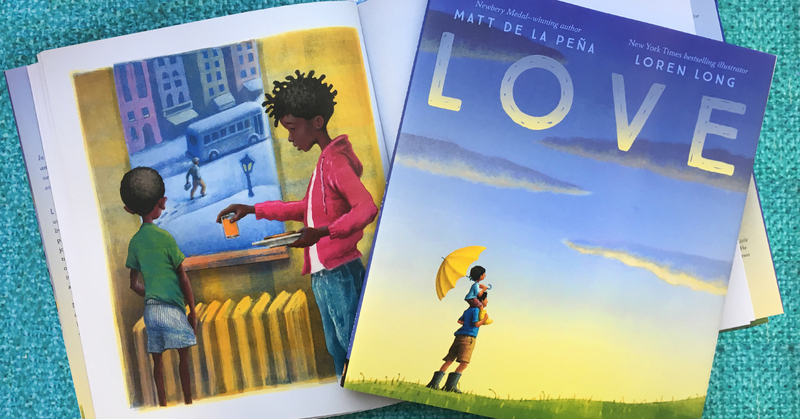 De la Peña and Long also bring a marvelous diversity to their picture book - cultural and socioeconomic - that I appreciate. It is marvelous to read a book to my students where the characters on almost every page look like them. Love is inclusive. Love is generous. Love wins.